The South Bronx, once America’s most famous ghetto, still sits in New York’s poorest borough, but looks quite different now than in the 1970’s with its vast swath of torched tenements, rubble strewn lots, and gangster shoot outs. Over the years, motivated residents who saw possibility where others found wreckage, cleaned out abandoned sites and created green spaces - islands of calm that nurtured themselves and their neighborhood, one plot at a time. 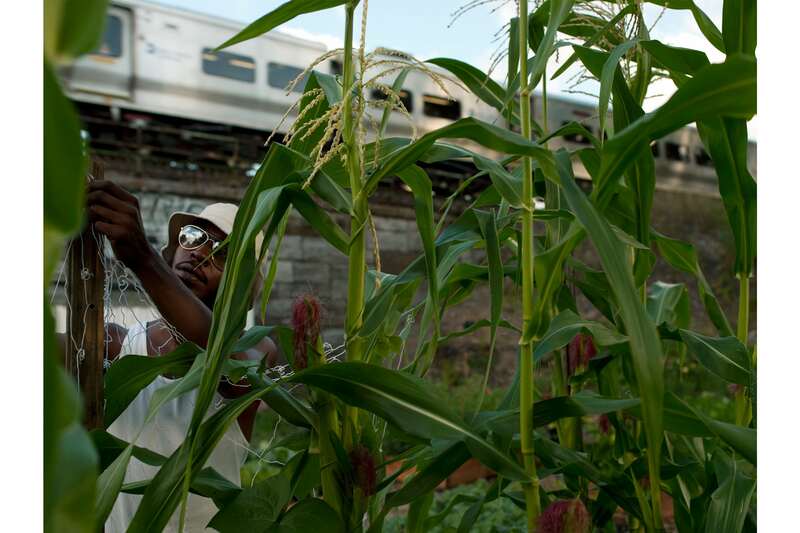 More than 100 community gardens tended by volunteers are thriving in the most unlikely places - tucked near train tracks, below highways, sandwiched between housing projects. That they exist at all in a city where commercial real estate interests dominate is a testament to the transformative power of the spaces and the tenacity and artistic talent of the gardeners. 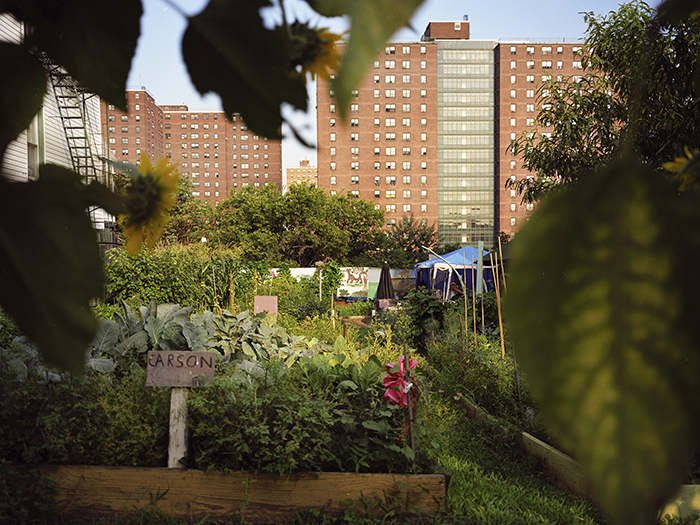 The photographs in Bronx Gardens redefine the possibility of urban life, taking the South Bronx, with its infamous history and “ghetto” tag, and imagine it as a place of natural sustenance, promise and tranquility. The work is an artistic departure for photographer Nina Berman, best known for projects on the impact of war and militarism. She started the series “to find a way to re-experience New York in spaces free from the competition and hustle.” The work evolved to connect to more broader environmental themes of land use and sustainability. Bronx Gardens has been exhibited as a unique series and as part of a larger collaborative project with the photo collective NOOR images, on the consequences and solutions to climate change.